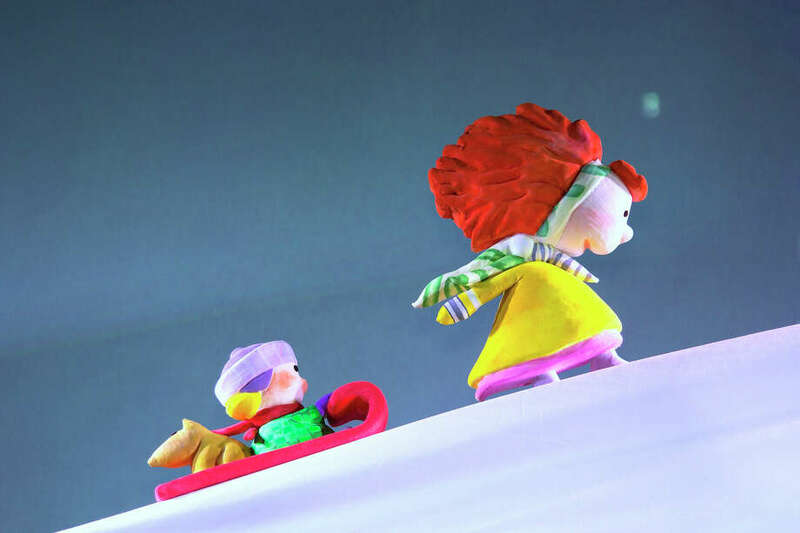 "Stella, Queen of the Snow" -- a colorful puppet show about a girl and her younger brother playing in the snow -- will be staged on Sunday afternoon, Jan. 18, at the Westport Country Playhouse. Performances are scheduled at 1 and 4 p.m., and the theater said the show is suitable for children ages 3 to 7. Running time is about one hour, the playhouse said. The show is based on a book of the same name by award-winning children's author Marie-Louie Gay and will be presented by the Mermaid Theatre of Nova Scotia, which combines puppetry with colorful scenery and original music. Tickets are $20 and are available online, by phone and at the playhouse box office, 25 Powers Court. Pre-show activities will begin one hour before each performance, at noon and 3 p.m. They include a series of environmental theater games that encourage children to use their imaginations to create winter wonderlands and act in them, the playhouse said. The story is about Stella and her kid brother, Sam, who spend a day playing in the snow. The forest, snowballs, snow angels, and the mysterious white stuff itself provide fuel for Sam's questions and Stella's answers, the playhouse said in a news release. Mermaid Theatre of Nova Scotia, founded in 1972, has performed shows for more than five million children in 16 countries on four continents, according to the Playhouse. The Westport show is part of the Playhouse's Family Festivities series of performances on select Sundays between November and March. For tickets, visit www.westportplayhouse.org, call the box office at 203-227-4177 or visit Westport Country Playhouse, 25 Powers Court, off Post Road East.